Is Kashmir part of India, part of Pakistan, or is it a separate country? The answer might vary depending on who you ask. As far as India is concerned, Kashmir is an integral part of India just like any other Indian state. 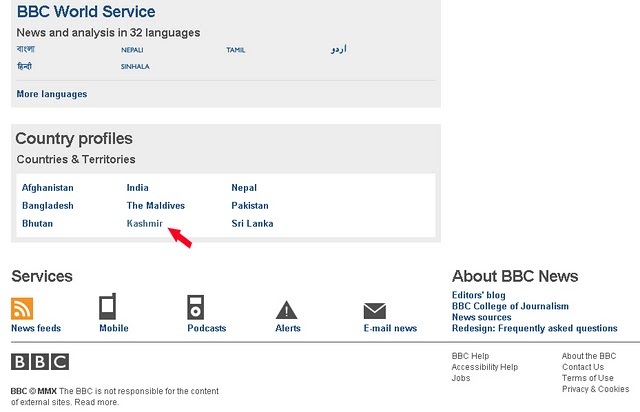 For the past few months, the British Broadcasting Corporation’s (BBC) website had been treating Kashmir on par with other counties in South Asia such as Afghanistan, Bangladesh, Bhutan, Maldives, Nepal, Pakistan and Sri Lanka. 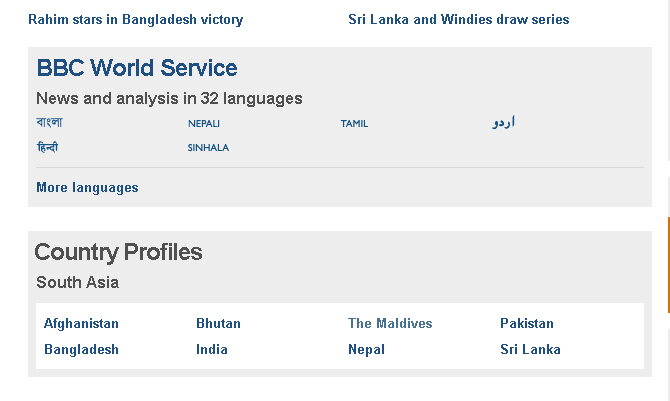 In the South-Asia section of BBC News, BBC has a list of country profiles, under which it had listed Kashmir as if it were an independent country. 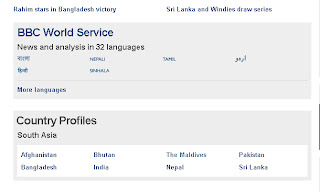 Worse, under the Kashmir label, stories about Indian Kashmir and Pakistan-occupied Kashmir were listed together. But not anymore. Kashmir has been taken off from the list of countries. It is learnt that the ‘mistake’ was corrected on 9 December 2010 after a communication from the Ministry of External Affairs (MEA). It was Ram Narayanan of US-India Friendship who ticked off the MEA. Ram — an Indian activist based in the US — sent a letter of protest to the MEA on 6 December and on 9 December, he received a confirmation message from MEA saying the issue has been sorted out. 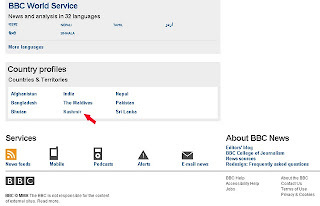 “I am glad that the MEA acted double-quick and the BBC has now removed the offending reference to the Indian state of Kashmir from the list of South Asian countries,” Ram says in an e-mail response.